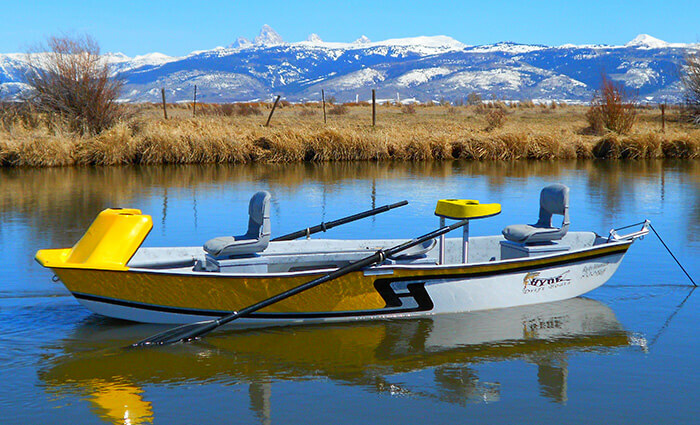 In the 1950’s I started to fish the Salt River in Wyoming with my brothers and my father. My father had several bamboo fly rods with automatic reels. Those bamboo rods are how I learned to fish. The rods came with two tips so that if you broke one, you always had a spare. As boys will, we broke the tip several times so we just kept patching them by moving the tip lower and lower until we were soon fishing with a 6’ fly rod instead of an 8’ rod. From that beginning I have had the opportunity to fish most of the rivers from North Alaska to Southern Chile. I have been asked many times which river I prefer and my answer is always the same, “My favorite is the river that I am on at the time.” I have found that I really don’t have a favorite, I like them all. I have fond memories of so many good experiences on many different rivers. 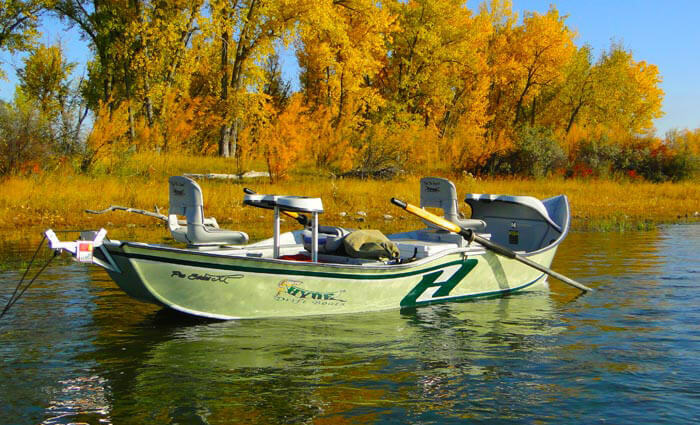 Fly-fishing has been the method of fishing in the Hyde family for 6 generations. 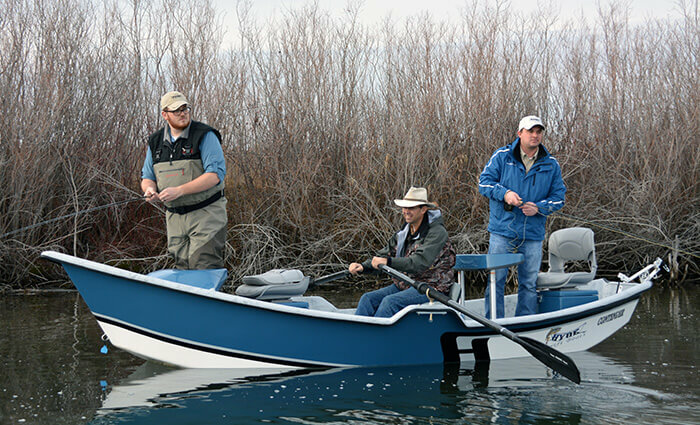 It is still the preferred choice of fishing for most of us. 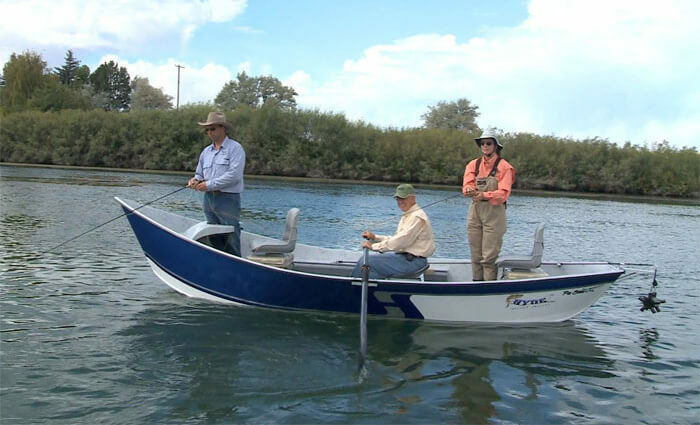 My grandsons have taken up the sport and have become very accomplished with the fly rod and also rowing our drift boats. 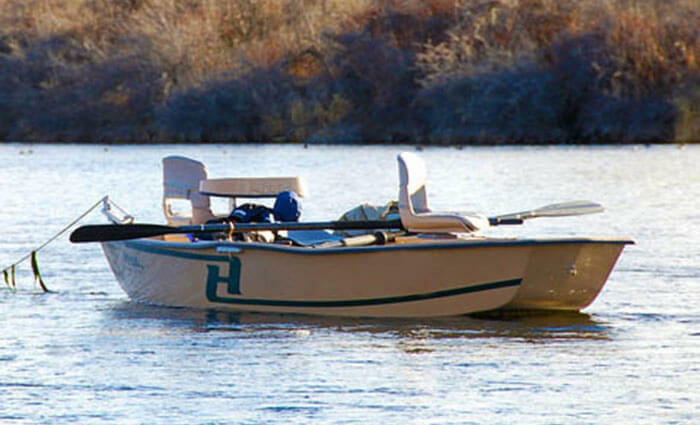 This is especially nice, so that their grandfather can get a little fishing in with them. 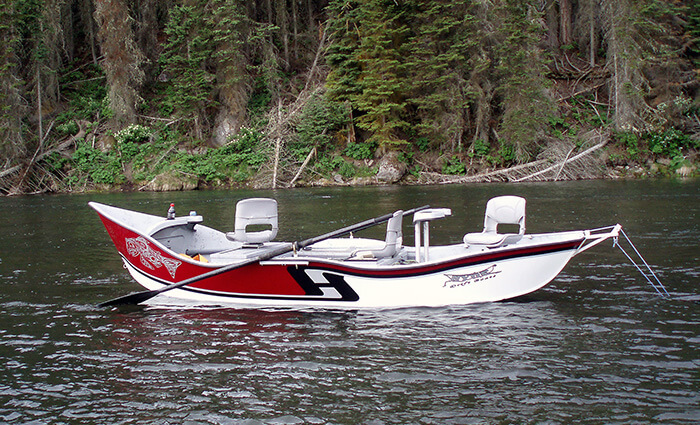 Drift boat manufacturing came naturally to me as I spent many of my early years building airplanes and learning about the dynamics of flight. I have been involved in the great outdoors all of my life and know personally how demanding the rivers of the world can be. 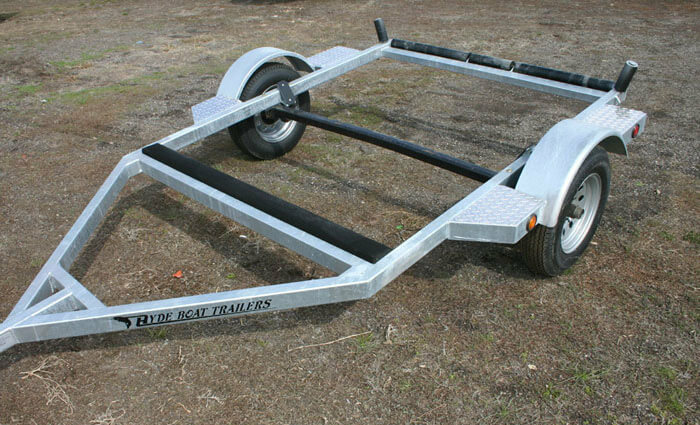 My first and foremost goal is to build the strongest, safest, most maneuverable drift boats to ensure the safety of our customers. With my sons and grandsons, we now have three generations in the boat business. 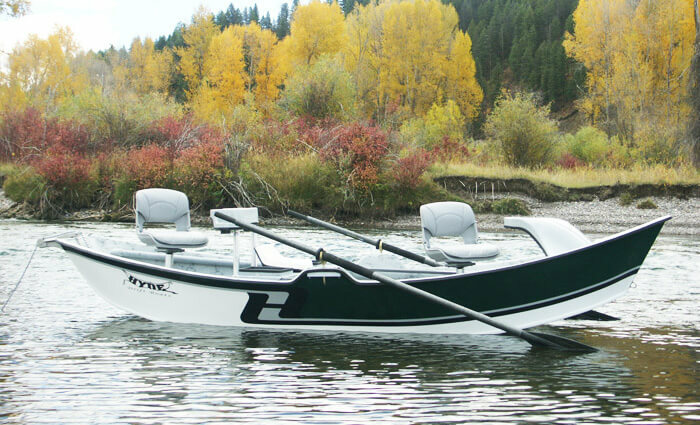 The staff at Hyde are committed to making your fly fishing experiences the most pleasurable, and we hope to see you on the great rivers of the world in a Hyde drift boat. 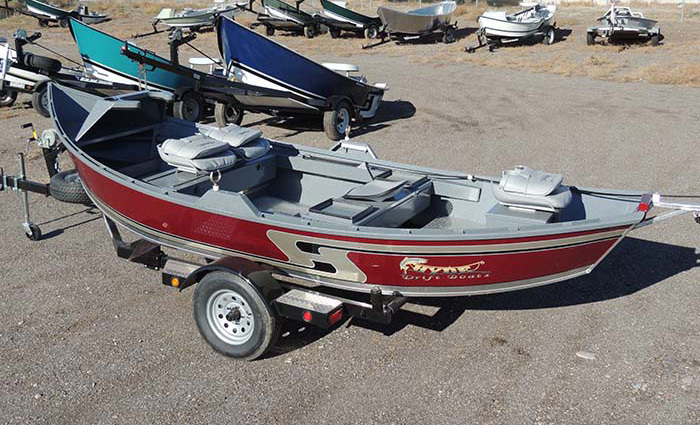 Please give us a call and see the difference our employees can make in helping your decision to purchase your next drift boat. We hope to see you soon on the river. 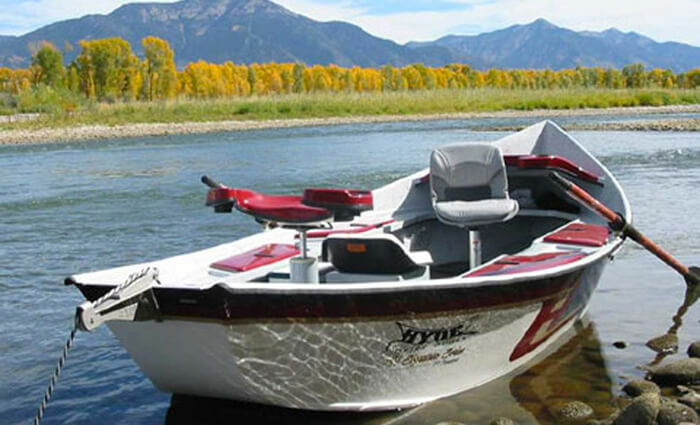 J.Ann Hyde is the co-owner and accountant for Hyde Drift Boats Inc. J.Ann started fishing seriously after the family was raised and has now became a very accomplished fly fisher woman. She has been a promoter of fishing to her children and grandchildren and they love to be with her. She has always had a great love for the outdoors and loves to be on the rivers of the world. She has accompanied her husband LaMoyne Hyde, who is her fishing buddy going fishing from southern Chile’s Palenta River to North Alaska on the Goodnews River. She has fished the Bahamas, Florida’s Keys and most rivers in between. If she gets the right fly tied on look out. She is the first to get in the boat and the last to leave. She has always said you can’t catch a fish unless your fly is not in the water. She loves the back of the boat as she says you can catch more fish from there and she is hard to prove her wrong. She is a true fisherwoman and is always ready to help others enjoy fishing as well. 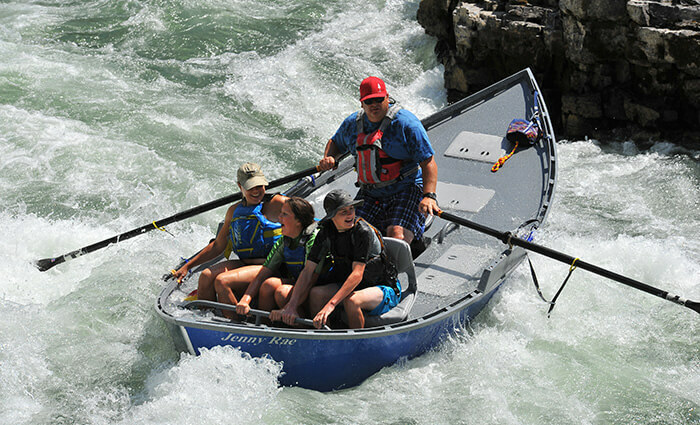 Jim grew up in Teton Valley, Idaho and spent many hours fishing near the headwaters of the Teton River. His great uncle started the Teton Valley Fishing Lodge and he has many great memories of that stretch of the Teton River. After college he went to work in the radio and television broadcasting industry and was the Vice President and General Manager of KIDK-TV in Idaho Falls, Idaho for many years. During his years at the television station he found additional ways to stay close to some great fishing, in fact, he helped plan and host large group fishing trips to Alaska and Northern Canada every year for almost 20 years. Those large group trips have now been replaced by quiet fishing trips with his wife and twin sons. Jim, Katie and their family are proud to call Southeast Idaho and the Teton Valley area their home. 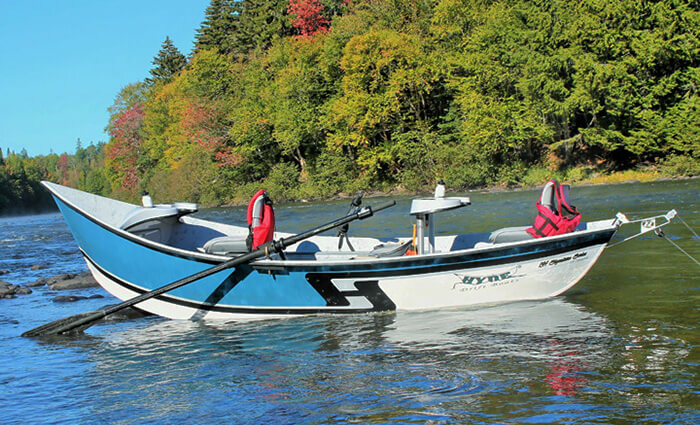 As a member of the Hyde team, Jim is interested in making your fishing experience as good as it can be and that means making sure you have the opportunity to experience fishing from a Hyde Drift Boat, the world’s best drift boat and leader in the industry. Matt grew up with the Hyde Company. As a child he would fall asleep in the bow of the boat, some fisher he was. 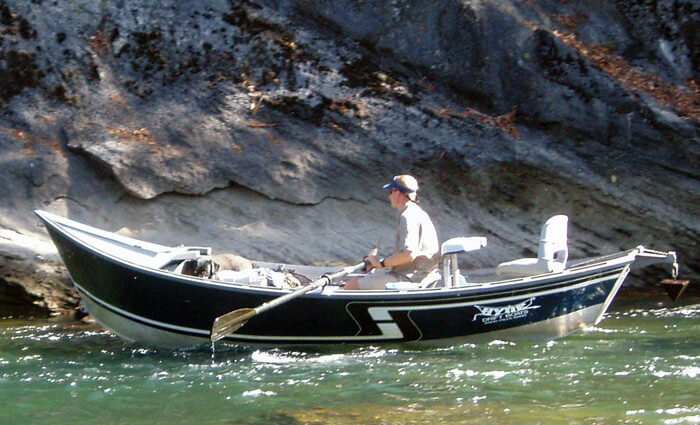 Matt started rowing at 11 years old on the Salmon River while fishing for Steelhead with his father and brothers. 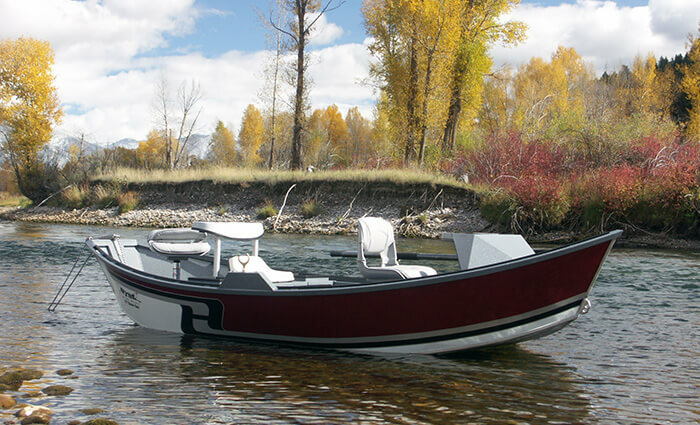 Then he branched out to the Beaverhead and the South Fork of the Snake rivers. He is now able to navigate many of the different rivers in the area. Matt is infamous for his role in the “How to row a drift boat” movie where he flips the boat down the rapids. Matt has explained many times that it was indeed an accident. Matt studied Computer Science and Business at UVU in Utah. While attending he met his future wife Missy. 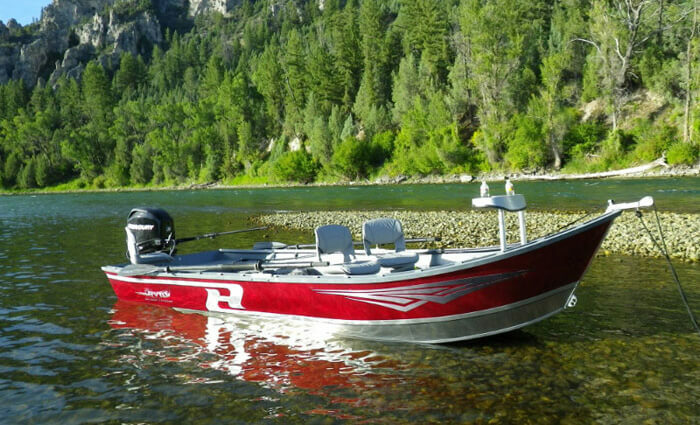 He then decided that fishing was more exciting than computers so they moved back to Idaho Falls to work at Hyde Drift Boats. 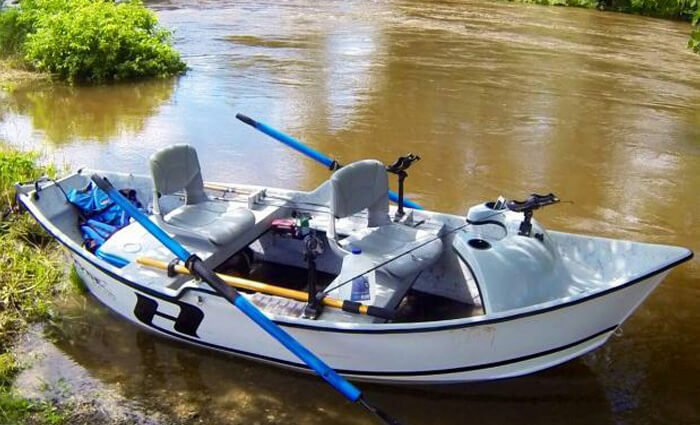 He started as the fly shop manager and has worked his way to boat sales. Matt continues the family tradition of fishing with his six daughters. Some of them can now even out fish him. His girls really enjoy fishing the rivers with their Dad. Matt has said that even if his last name wasn’t Hyde, he would still work for Hyde Drift Boats. 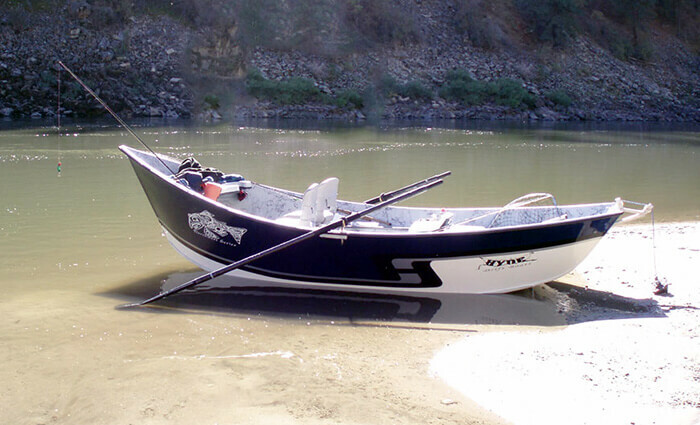 The main reason is that he can go fishing with his family in safety, comfort, and style in his very own Hyde Drift Boat. Danielle was born and raised in this area. She grew up with an appreciation of our beautiful surroundings. She enjoys spending time in the outdoors hiking, 4-wheeling, biking, and riding jet skis with her husband and three girls. As the administrative assistant she’s the one that gets to stay in the office and work while everyone else goes out and plays! Madison is the 3rd generation member of the Hyde Drift Boats Team. She enjoys being able to fish every chance she gets, and has been fortunate enough to travel to many places to do so. Her and her husband also enjoy being able to hunt with their dogs, Moose and Skeena, and spend the winters snowmobiling.